I went a bit wild and also ordered a Gin Mojito (they'd ran out of fruit ciders). I loved that they bought over water automatically as I think that should be a given at any restaurant. 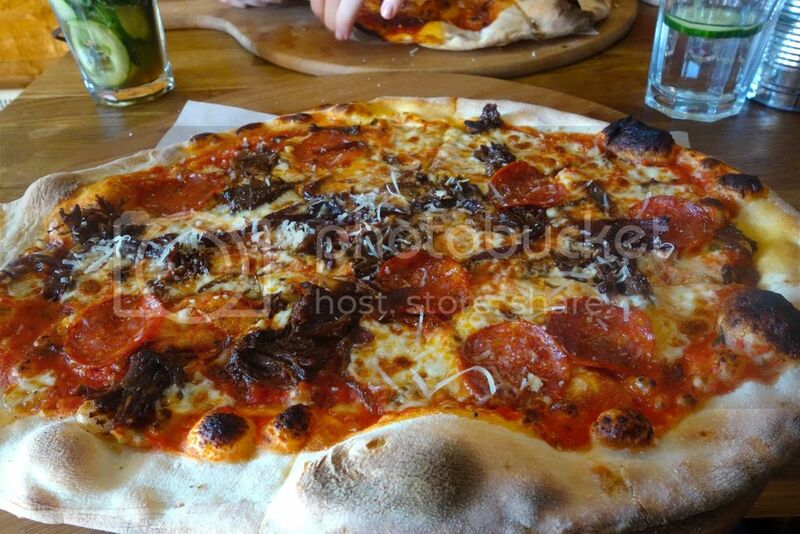 I plumped for the Crafty Cuts pizza, apparently a favourite among their customers, a meaty affair of braised ox cheeks, pepperoni and mozzarella. I was so engrossed in my own pizza that I forgot to picture what the others had although Rachel had a very reasonably priced Margherita at only £4.50! I was craving something sweet after that and ended up going all out and getting a desert, a Rhubarb Mess if I remember correctly (the menu on their website is slightly different!). They'd ran out of most of the ice creams which was a shame but this was a good alternative. that I want to check out now. Post-exam treat? Next up, one of my friends invited me to a food market on Facebook and the more I looked into the more excited I got. Peddler Night Market is a pretty new bi-monthly market with street food and drinks that takes place on Arundel Street in Sheffield. 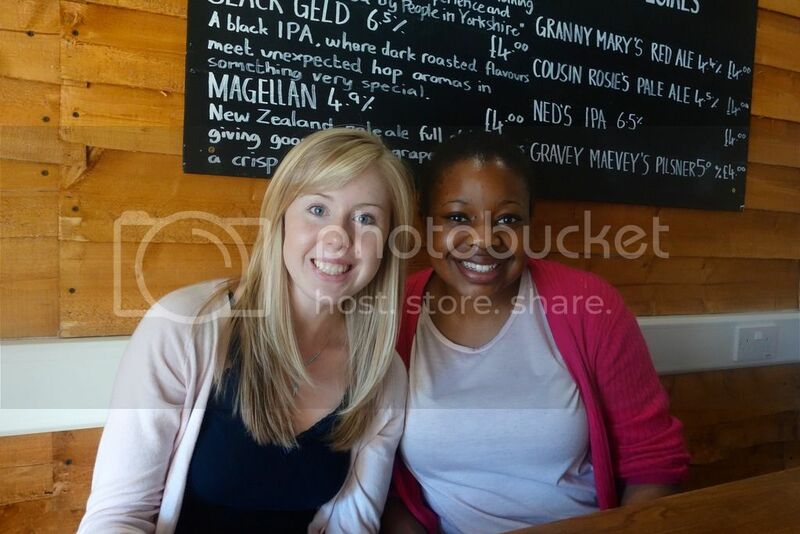 I've never really ventured to this area so it was good to see new bits of Sheffield. I didn't manage to get many pictures as it was absolutely chucking it down. 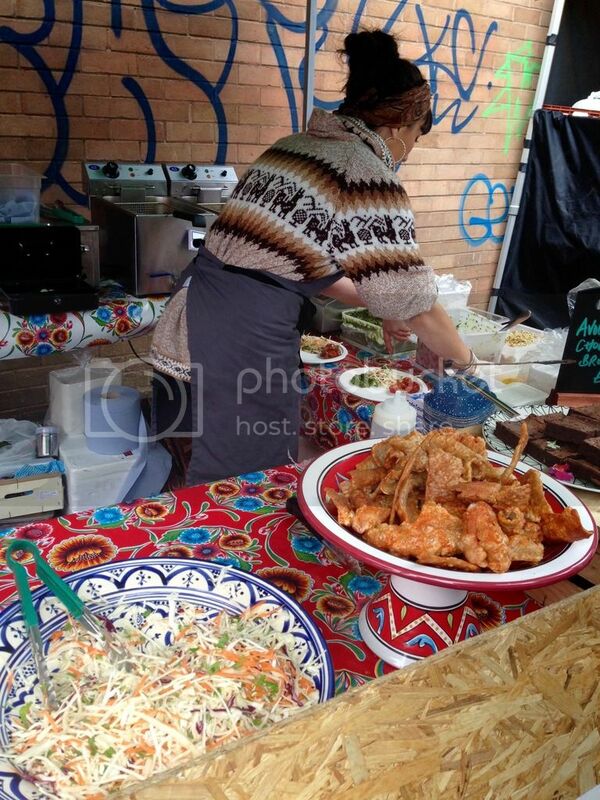 Before it got too rainy I managed to grab some food from Yakumama, a Latin American inspired street food stall. 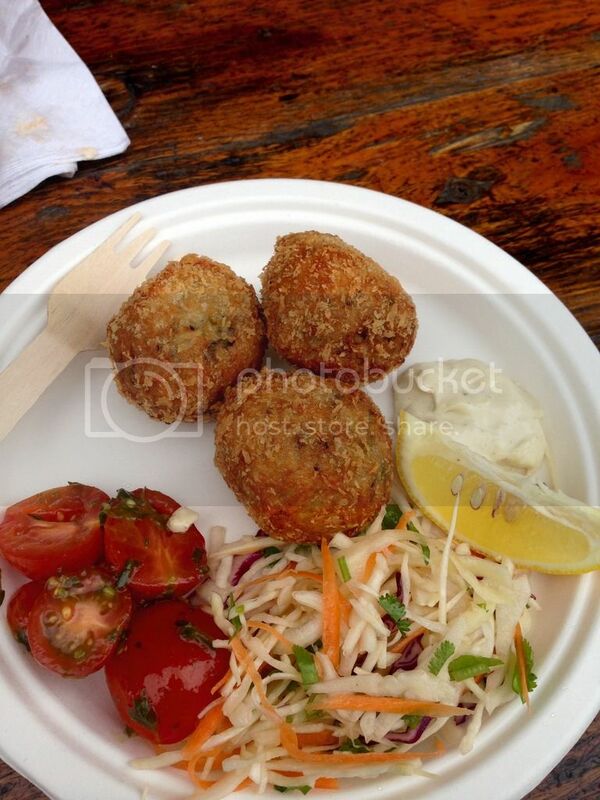 Quinoa and Mushroom Croquettes. 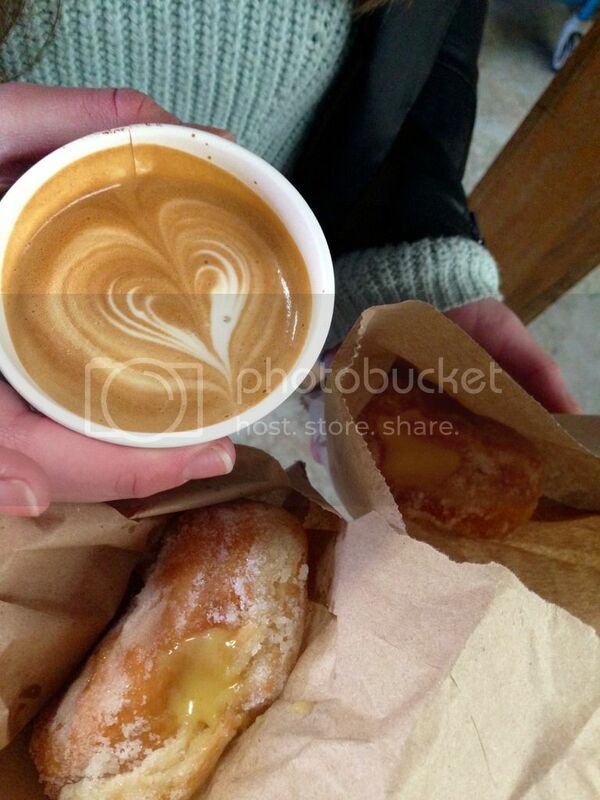 We then seeked shelter in Depot Bakery along with everything else and grabbed a Flat White and Mango & Passionfruit Donut. 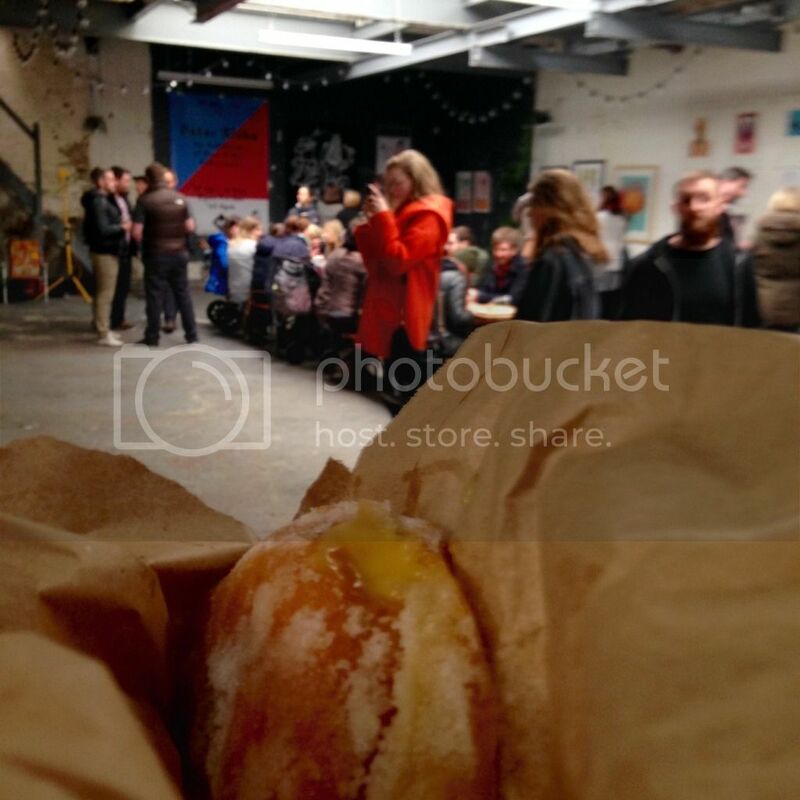 It was then I realised that The Depot Bakery stocks Steam Yard Coffee Co up with donuts, see my post here. These were fresh out of the fryer however so were 10 times better. I've now been dreaming about donuts ever since. I'll be keeping an eye on Peddler Market's twitter to find out when they're next around as I'll be the first one there.